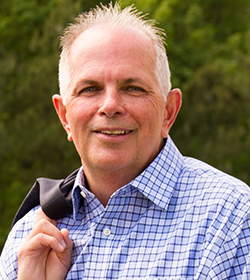 Steve Kirby is a principal of The Mumford Company, a trusted hotel brokerage and advisory services firm with 40 years of results-oriented real estate service to the industry. Kirby is an active broker and manages the marketing and administration operations of all five of the company’s offices. Over his 35 years in the hospitality industry, he has been involved in the sale of over 225 properties, representing an aggregate volume in excess of $570 million, in 21 states. He has been integral in spearheading several multi-unit disposition programs for large, institutional clients. He holds real estate brokerage licenses in eight states. His practice focuses primarily on the focused and limited service segments of the industry with a concentration in the Sun Belt states. Prior to joining Mumford Company, he served as development director for Choice Hotels International, servicing territories in the Midwest and Southeast. While at Choice, he handled the sale of over 100 franchises across numerous brand families and received several performance awards including the Victor G. Trapani Sales Excellence Award. Kirby also spent three years as development director for the Southeast region at Forte Hotels International. In this role, he was responsible for franchise sales, joint venture developments, and corporate acquisition opportunities. His lodging career began in 1983 with Days Inns of America where he served in food and lodging management, quality assurance, franchise services, product improvement planning and project management for corporate owned property renovations. Kirby is a frequent panelist at industry conferences, penned numerous lodging related articles, and is a regular contributor to hospitality industry publications. He graduated from Appalachian State University with a Bachelor of Arts degree in Political Science and Economics. He is a member of the Zoning Board of Appeals for Forsyth County. He also serves on the boards of local volunteer organizations, and coaches for Special Olympics and Miracle League in North Atlanta.